A sermon preached at St. Andrew's On-the-Sound Episcopal Church in Wilmington, NC on April 6, 2013. The text was John 11:1-45. “DEATH, always cruel, Pity's foe in chief, Mother who brought forth grief, merciless judgment and without appeal! 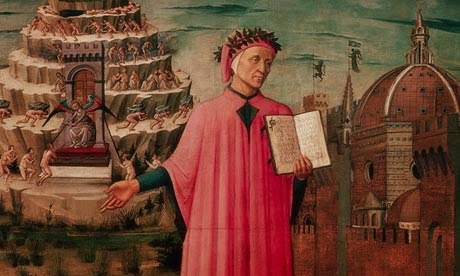 Since you alone have made my heart to feel this sadness and unweal, my tongue upbraids you without relief.” Words taken from the poem “Death, Always Cruel” by Dante Aligiheri, most famous for Dante’s Inferno which many of us were forced to read in High School. I say that like it was a chore for me. I actually love Dante’s writing. I have even immortalized his interpretation of Purgatory in a tattoo on my leg. His series, the Divine Comedy, which charts his journey through Hell, Purgatory, and Heaven is a continual source of inspiration for me, but there is something about the words I shared with you this morning that have really pierced my heart. “DEATH, always cruel, Pity's foe in chief, Mother who brought forth grief, merciless judgment and without appeal!” Sometimes the death that we face isn’t physical. It isn’t the loss of a friend or a loved one. Sometimes the death we face is the loss of our identity, something that shakes us to our core that leaves us questioning who we are. Sometimes it’s the loss of a relationship, and the loneliness that comes upon us feels as though we have truly lost a part of ourselves. Perhaps it’s the death of our hopes and aspirations, our ideals that become shattered fragments of a once promising future. “Where, O Death, is thy victory? 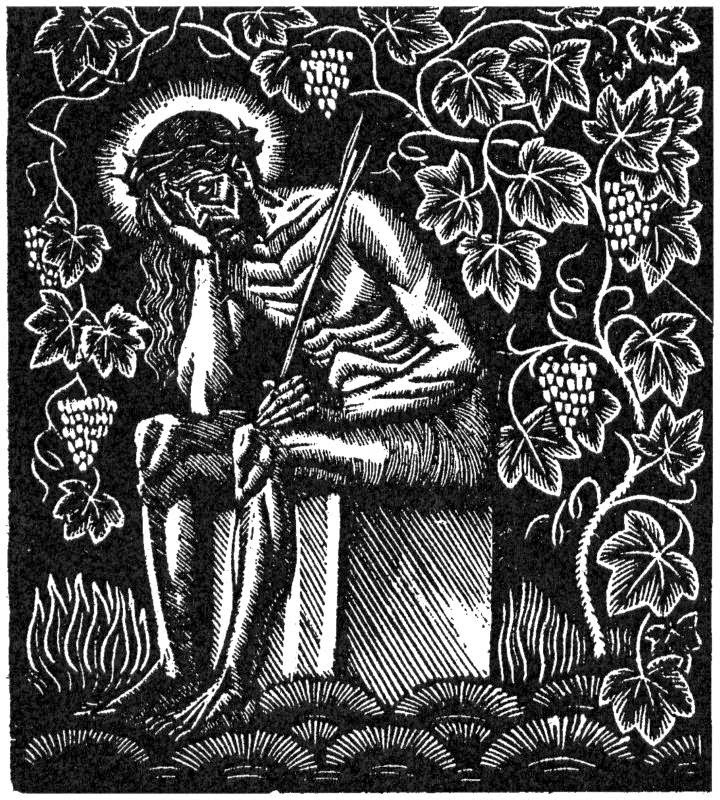 Where, O Death, is thy sting?” St. Paul’s words echo in our hearts right alongside the pains of death and loss that we feel. We know the sting of death all too well, and so we don’t need to work hard to find ourselves alongside Martha and Mary in the Gospel this morning. Martha and Mary, the sisters of Lazarus, do what any of us would in a situation like this. They know the power and promise of Jesus. They have hosted him in their home, and they believe in his power to heal. They’ve heard the stories that rumbled through the Galilean villages, about how Jesus has healed the sick, given sight to the blind, and stretched out the broken legs of the crippled. Without reservation, they had word sent to Jesus about Lazarus’ illness. 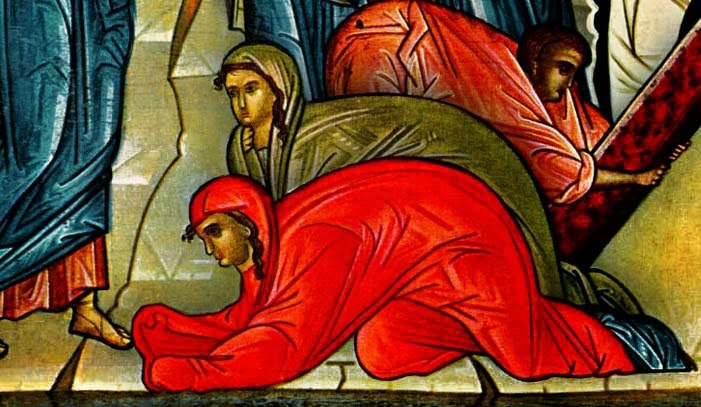 And we know that it wasn’t just Martha and Mary who cared deeply for Lazarus: “Lord, he whom you love is ill.” Both here, and later in the story, we get the sense that Lazarus is deeply loved by the Lord. But for reasons beyond our comprehension, although Jesus’ words give us a glimpse into his thinking, Jesus stays behind and doesn’t immediately rush to Lazarus’ side. For two years, I worked in hospitals as a chaplain, both here and in Chapel Hill. I can’t tell you how many times I prayed in my heart, “Lord, this person whom you love is ill.” When we are confronted with the prospect of death in all its many forms, physical or emotional, it is entirely appropriate to question the expedience of God…to question why there isn’t more clarity, why there isn’t more comfort, why it seems that God is slow to respond to our prayers. The threat, or reality, of death and loss can throw even the most steadfast and faithful person into chaos and confusion. Mary is a perfect example of this. In another Gospel story, Jesus is visiting the home of Mary, Martha, and Lazarus. When he finally arrives, Mary stops cleaning and sits at the feet of Jesus, abiding in his presence. Martha eventually gets frustrated and asks Jesus to chastise her sister. But Jesus affirms Mary’s devotion: “Martha, Martha, you are worried and distracted by many things; there is need of only one thing. Mary has chosen the better part, which will not be taken away from her.” Mary’s devotion and faithfulness is clear, and yet in the story today, when faced with the death of her brother, Mary becomes overcome by her emotions, and expresses her frustration at Jesus’ absence: “Lord, if you had been here, my brother would not have died.” She kneels at his feet, weeping. But even in her frustration, and in her chaos, she remains faithful. She remains convinced of the power of Jesus to heal her brother. But rather than passively accepting his absence, she calls Jesus to be faithful to who she knows Jesus to be. 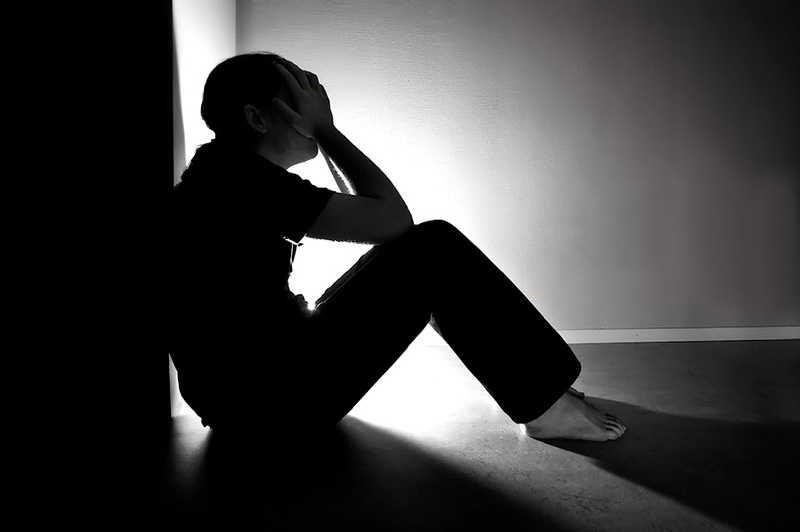 It is an honest, and faithful prayer, brimming with all the emotions death and loss instill in us: fear, anger, frustration, love, passion, confusion. Beautifully, however, Jesus doesn’t chastise her for her emotions. He doesn’t pity her confusion. He doesn’t belittle her for what she is feeling deeply in her heart: “When Jesus saw her weeping, and the Jews who came with her also weeping, he was greatly disturbed in spirit and deeply moved. He said, ‘Where have you laid him?’ They said to him, ‘Lord, come and see.” Jesus began to weep.” If what the Church teaches about Jesus is true, that he is at once both God and Human, then we who read this story are bearing witness to something truly remarkable: that God, in Jesus, knows the disturbing and chaotic nature of loss and all of the pain it brings very deeply, very personally. Though Jesus himself is aware of his own power to heal, and perhaps to raise the dead, he shares in the sufferings of Martha and Mary. He himself becomes angry, indignant with the death of his beloved friend, on account of the great love he had for Lazarus, and because of the pain and suffering of his sisters. 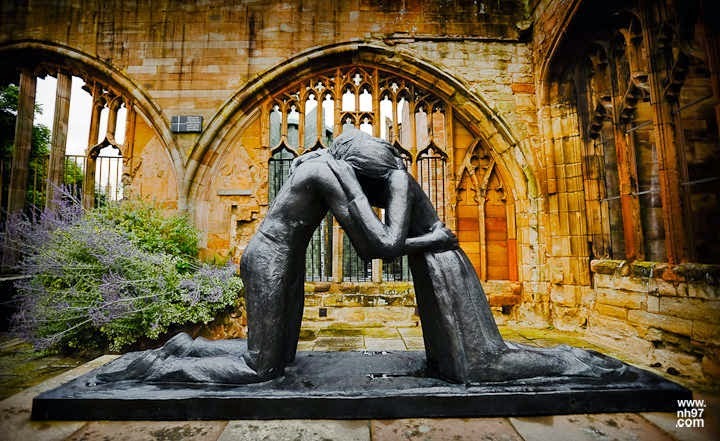 In a world where we can’t see God as we see each other, where we can’t touch Jesus the way Martha and Mary could, it’s easy to be convinced of the absence of God. But if this story has anything to teach us, it can teach us that looking for a distant God to respond to our suffering is to be looking in the wrong place. Instead, the place to look is beside us, or perhaps within us, to find the persistent presence of Jesus, the “God-in-flesh” who knows not only his own sufferings on the cross, but shares deeply in the pain and sufferings of those he loves. 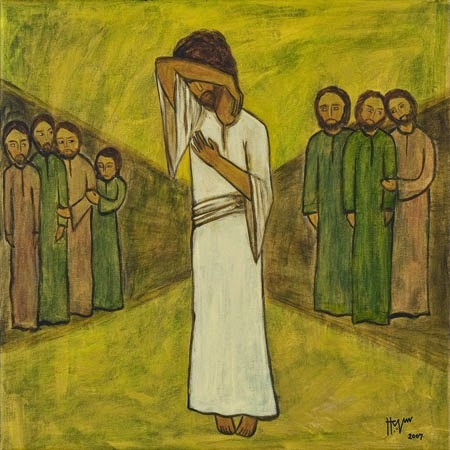 “Because he himself was tested by what he suffered,” the writer of Hebrews says, “he is able to help those who are being tested.” It’s never easy to face death, or the loss of identity, or whatever suffering we may feel, and this way of understanding God’s presence in times of chaos and confusion may not be quite the answer we need. If you have come here today bound up by your wounds, may you find this to be a community where the hands of those next to you become the hands of Christ unbinding those wounds. May you know that you are deeply loved, and that you are not alone. If you have come here today searching for a purpose or a mission, may you come to know yourself as a person who makes real the healing power of Jesus Christ to those around you, where your hands become hands of healing, compassion, and restoration. May we all together, as one body, make the community of St. Andrew’s On-the-Sound a place where the healing and restoring love of Christ is so visible that those who look in from the outside believe that Jesus is alive, still healing, still loving, still restoring.